Flights are offered at 2 Locations: Boeing Field at the Museum of Flight and Bremerton National Airport. We operate under an FAA Part 91 Regulation and do NOT offer airport to airport flights. We take off and land at the same airport under our FAA Letter of Operating Authority. Rides are flown within a 25 mile radius in daylight hours only. If you “friend us” at our Facebook page, you’ll find that we post an update every Thursday as to whether we intend to fly that weekend (for short notice interest for people whom have not made reservations) and which planes we will be bringing to the Museum. We do this because weather can change quickly in the northwest and we cannot fly with severe cross winds on a single direction runway. Be sure to use the proper spelling of our company name to find the Facebook page: Olde Thyme Aviation. Reservations are not needed on weekends at Boeing Field: just come on down. 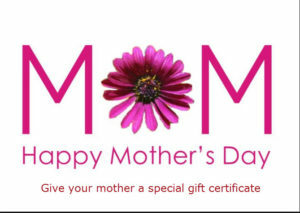 However if you want to make a reservation, contact us by TEXT at 206-730-1412 or 206-730-1064. Because we’ve had the same phone number for over 25 years, our voice mail is “clogged daily” by robo-calls and non-solicited messages. It makes it impossible to manage any voice mail messages and we are jammed with an hour of garbage recordings we simply cannot wade through. So please communicate with us by text. If we fail to answer the phone, its because we’re flying and can’t pick up in an airplane. Thanks. Rides are flown at Bremerton any weekday starting at noon. Boeing Field flights are only available on weekends. Weight limits are strictly enforced for your safety and ours. 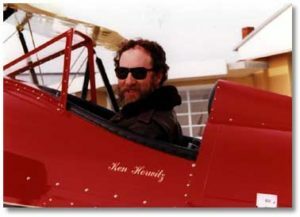 The open cockpit airplanes (two seat) have a maximum passenger load of 350 lbs for two passengers; the Cabin Biplane can carry 550 lbs of passenger weight and the single passenger Stearman carries one passenger up to 215 pounds. We cannot load any single passenger whom weighs more than 275 lbs on any model airplane. Prices are based on the “flight” and not by the number of passengers as each plane has a different passenger configuration. See our rides/prices by clicking on the menu button to the left. We are a year around operation however the open cockpit models are really a “seasonal operation” due to temperatures, generally flying the Open Cockpit Airplanes during Daylight Savings months (7 months a year) when daytime temperatures are close to or above 60 degrees. In the winter, we fly rides in our Cabin Wacos on good weather VFR days when crosswinds are not a problem. Some of our most enjoyable flying in the heated Cabin Wacos are after the first of the year when we often get very cold high pressure calm air weather patterns. Absolutely magic! Also, the Cabin Waco carries three passengers instead of two for the same pricing as the open cockpit airplanes. This spring, Olde Thyme Aviation will also be offering “aerobatic” rides in a 1942 Stearman “Kaydet” biplane which is outfitted with a 450 hp Pratt and Whitney Wasp engine. We are exploring getting the T-6 Advanced Warbird Trainer back into our program and will update the website as soon as we have this worked out. VFR Flight Conditions permit*. We require a ceiling of 2000 feet and winds that are down the runway within 45 degrees. We cannot operate with a 90 degree crosswind of or over 10 mph. We have operated flights since 1996 in planes that have histories from 1927 through 1945. The four planes currently flying at available for flights are 2 Waco UPF-7s (1940 & 1942), 1 Stearman Kaydet (1944 PT-17 Army), 1 Cabin Waco 1937 YKS-7. Since 1996, we have flown over 10,000 rides for nearly 25,000 passengers. 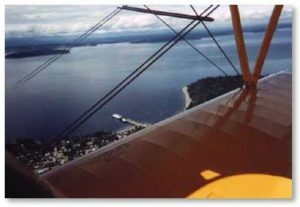 Our mission is to have fun with select individuals whom seek an experience in how it was like to fly in a civilian bi-wing plane in the 30s or in a primary military trainer biplane of the late 30s and early 40s. You’ll load up amongst the many active aircraft using Boeing Field daily which can range from private general aviation aircraft, corporate business jets to the huge MD-80s used for UPS shipments or the new Boeing 787s and 747 cargo jets. Often you may see active military jets such as F-18s or F-15s which may also use the ramps for refueling that are common to our area. It is a very exciting and “live” place to me for anyone whom likes aviation or multiple types of aircraft. It’s a very dynamic environment. Bring your camera! Rides are priced based on the length of flight and time only and not by the number of passengers. Capacity will vary from plane to plane depending upon their configuration. 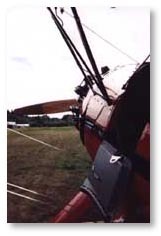 The Stearman carries a single passenger as it is a narrow open cockpit airplane; the Waco UPF-7 open cockpit airplanes carry two passengers up to a maximum weight limit of 350 lbs and the Cabin Waco carries three passengers up to 550 pounds of passenger weight. ALL FLIGHTS ARE PRICED THE SAME BASED ON LENGTH AND TIME as they use the same amount of fuel consumption regardless of the number of passengers carried. All rides operate in and around the Puget Sound region within a 25 mile radius and take off and land from the same location. Passengers are “dressed” in old time barnstorming regalia from the leather jacket to goggles and cloth helmet. You need not worry about wearing extra clothing. Regular outdoor clothing of the type you’d go to a ball game is suitable plus soft soled shoes like sneakers. At the end of each ride, passengers are given a “certificate” showing the type of aircraft they have flown in with hits history on the back. For our own enjoyment, we often “rotate” the planes each weekend so that sometimes we’ll have one Waco on site; other times we have one Waco UPF-7 and one Stearman. In the fall and winter, we start to phase in our closed Cabin Waco YKS-7 to provide wonderful flights in brisk fall weather when the leaves are turning. However, the Cabin Waco is a rare treat in that it can accommodate larger families who want to fly with three at a time instead of one or two at the same price. What happens when it gets cold or winter comes? We simply switch to the use of our 1937 Cabin Waco (See Airplanes) which give you all the same excitement of the historic biplane ride but keeps the elements off of you in the rain or icy chill. Plus, they carry one more extra passenger at no extra charge! The name “Olde Thyme Aviation” is a registered trademark of Olde Thyme Aviation Inc.